I tried some stitches to stabilize the spirals, looking for a way to preserve the connecting lines. At first i used different colors at the end of the spirals, but that ruined the harmony and the flow between them. The next thing i tried, was using the same color, but different texture. That worked pretty well, specially since i increased the opening, in order to get a more straight line to make a base for new attachments. 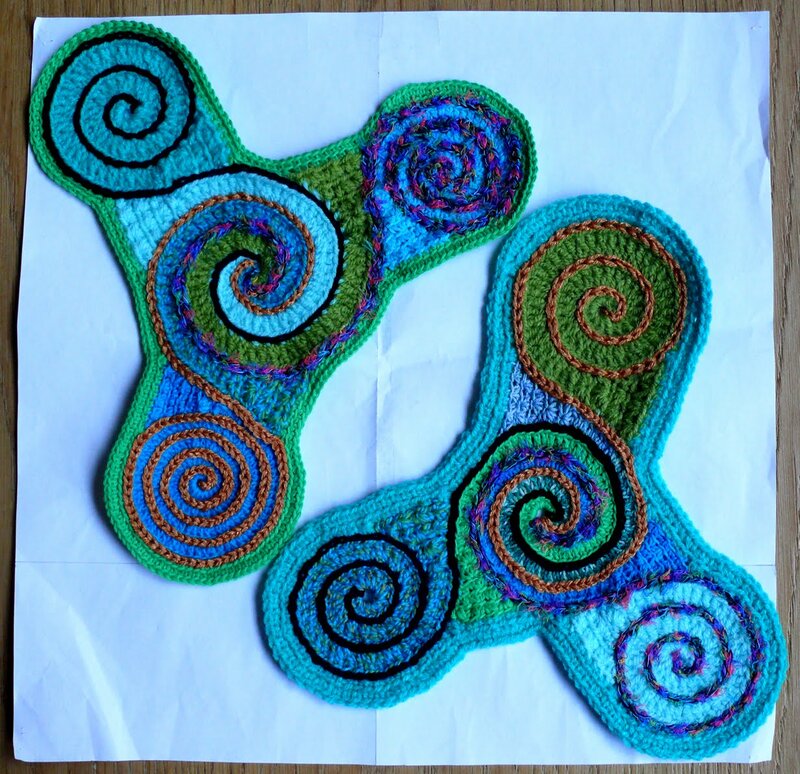 Still that left some borders of the spirals open, which i could surround by yet another color. In my opinion that would break the continuity, so i choose to surround both scrumbles with two rounds of sc. in contrasting colors, preserving the unity of each scrumble.